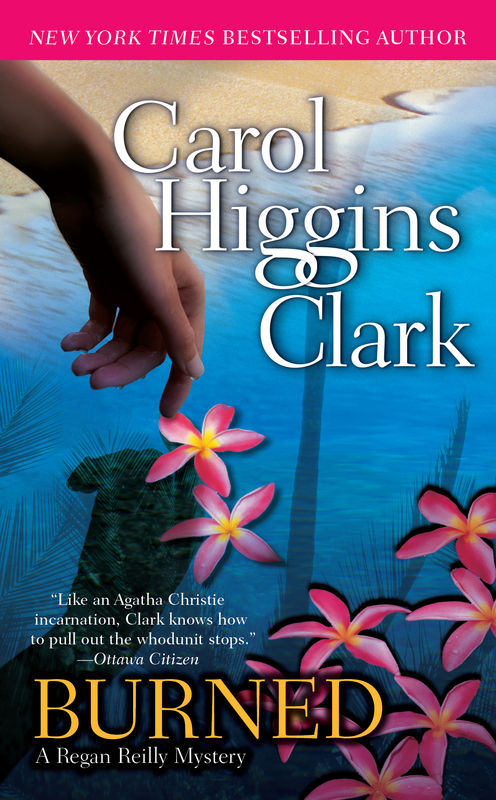 New York Times bestselling author Carol Higgins Clark's trademark light touch, humor, and quirky characters make for another wonderfully unpredictable mystery. Say "Aloha" to an unforgettable Hawaiian adventure! L.A.-based private detective Regan Reilly gets a call from her best gal pal, urging her to come to Hawaii for one last girls' weekend before Regan ties the knot with Jack "no relation" Reilly, and so she happily packs her bags. At the Waikiki Waters Playground and Resort, the body of Dorinda Dawes, the hotel's gossipy PR woman, washes ashore wearing a valuable lei that once belonged to a Hawaiian princess and was stolen from a museum in Honolulu thirty years ago. The resort manager doesn't believe that Dorinda drowned accidentally and persuades Regan to take on the case. The more she starts digging, the more danger she is in. Can Regan find out what really happened before it's too late for her and the other vacationers at the Waikiki Waters? 1. When her best friend Kit calls, begging her to come to Hawaii instead for one last “girls’ weekend” before her wedding, Regan hesitates. But when she learns a dead body has washed up on the shore, she decides to go. What does this reveal about Regan? What is your impression of Kit? What do we learn about the relationship between Regan and Kit in the first few pages? 2. In chapter two, we learn that Regan’s mother is a well-known mystery writer. 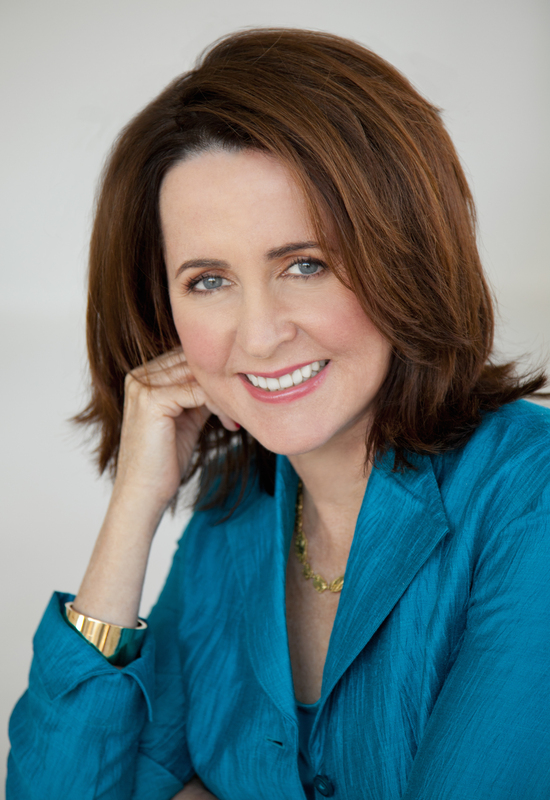 How much do you think the author, Carol Higgins Clark, draws on her relationship with her own famous mother, Mary Higgins Clark? What are some specific examples of their interactions that could have been drawn from “real” life? Why do you think the author included this character in the story—what role does she play? 3. Jack “was a worrier when it came to Regan. And now he had a particularly good reason. Whenever she was with Kit, something odd always happened.” (14) What does this tell you about Regan and Kit’s past? What does it make you think is going to happen next? Why doesn’t Regan tell Jack about Dorinda Dawes, the woman whose body washed up on the beach of the hotel where Regan will be staying? 4. The Waikiki Waters Resort has had numerous “mishaps” occur recently, with Dorinda Dawes’s dead body the latest and most extreme “accident.” Will, the hotel manager, in desperation hires Regan to investigate these occurrences while she is there. How do we know he is not behind the problems? How does the author make us trust him? Is Regan being a bad friend to Kit by taking the case while on their special vacation? Why or why not? 5. When Steve Yardley, Kit’s new love interest, is described as a “handsome, thirty-five-year-old retiree from Wall Street who moved to Hawaii when he got sick of the rat race” (18), why are we immediately suspicious? How much does Kit’s lack of success with men in the past figure into our assessment? What does Regan think of Steve? Steve lets a phone call go to voice mail instead of answering in front of Kit and Regan. People sometimes let phone calls go to voice mail in the company of others to be polite. Why does it make the reader feel distrustful of Steve? What else makes you feel wary of Steve and why? 6. In chapter seven, we meet the hefty twins, Gert and Ev who lead the Mixed Bag Tour group, Ned the physical trainer on the prowl, Artie the dissatisfied masseuse, vain, middle-aged Frances, the dreary couple Bob and Betsy, and the lively twenty-one-year-old Joy. What is your impression of this group? Do you immediately suspect any of the members of wrongdoing? Who, and why? How do your doubts change? 7. We learn that Will is the person who gave Dorinda Dawes the lei she was wearing when she died. He acquired it from his parents, who had innocently bought it thirty years ago from a teenager with abnormally long second toes. What is the significance of this detail? How is Will now implicated in Dorinda Dawes’s death? When you learn that Will was hiding important information related to Dorinda Dawes’s death, do you still trust him? Why or why not? 8. What does Regan learn about Dorinda Dawes from Janet, Will’s secretary? What do Dorinda’s newsletters reveal? How does this information begin to shape her suspicions about Dorinda’s death? What are Regan’s suspicions? 9. We learn that Ned had a difficult childhood, and a long history of compulsive stealing. He came to back to Hawaii to start a new life after his divorce. Why, after years of “staying clean” and a lot of therapy, does he become obsessed with stealing the leis? What does the theft symbolize for him? How does he feel when he finds out that the next day he will be entertaining the couple he originally sold the stolen lei to thirty years ago? Why does he believe the couple will not recognize him? 10. After the leis are stolen, Jimmy, Janet, and others say they believe there must be a curse on the leis. Is this a natural reaction to the events? Do you believe that things can be cursed? If so, what is an example? Can believing in a curse cause bad things to happen? 11. What does Regan learn from Dorinda’s notes that help her narrow down her suspects? Who are the primary suspects in the murder of Dorinda Dawes? 12. Why does Glenn the bellman become suspicious of Ned? When Glenn snoops, and opens Ned’s package, he finds the leis. Why doesn’t he call the police? Why doesn’t he keep the leis for himself? Why doesn’t Will suspect Glenn of the mishaps? Have you been duped by someone you trusted implicitly? How? Were there signs that the person was untrustworthy? 13. What do Dorinda’s notes say that make Regan more suspicious of Steve Yardley? What does she learn at the party about Steve? Why doesn’t she share her reservations with Kit? Why isn’t Kit skeptical of Steve? 14. How does Regan find out about the twins’ embezzlement of Sal Hawkins money? Why does she become suspicious of Carla and Jason’s disappearance? How does she connect Carla and Jason’s disappearance to Gert and Ev? How does Regan figure out where Carla and Jason are located and make the police take her fears seriously? 15. Ned decides that Glenn isn’t “going to beat me at this game. Because I always play to win.” (224) What do you think Ned is going to do to Glenn? Do you believe at this point that Ned murdered Dorinda? Ned ultimately gets away with the theft of the leis. Do you think he will continue to steal or has the experience with the leis cured him? Why? 16. Why does Steve try to kill Kit? When Steve tries to drown Kit, Regan comes to Kit’s rescue just in time. Regan tells Kit to “Get back on the jetty!,” but Kit refuses, and helps Regan subdue Steve. What does this reveal about Kit? After Steve is arrested, Kit makes Regan promise to check out the next guy she dates. Regan agrees, saying, “That’s a guarantee. Especially if you’re gaga.” Do Regan and Kit believe that Kit can make good choices? Do friendships in real life develop similar dynamics? What do you think will happen to their friendship after Regan is married? Will Regan continue to get involved in solving crimes after she is married? Are some people destined to certain careers?